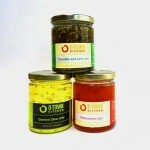 We craft artisan jams, jellies and marmalade. We love being creative and inventing new flavors of jam for you to try. Each jar is filled, caped, polished and labeled completely by hand to preserve the integrity of our products. We promise a homemade taste with a commercial quality. 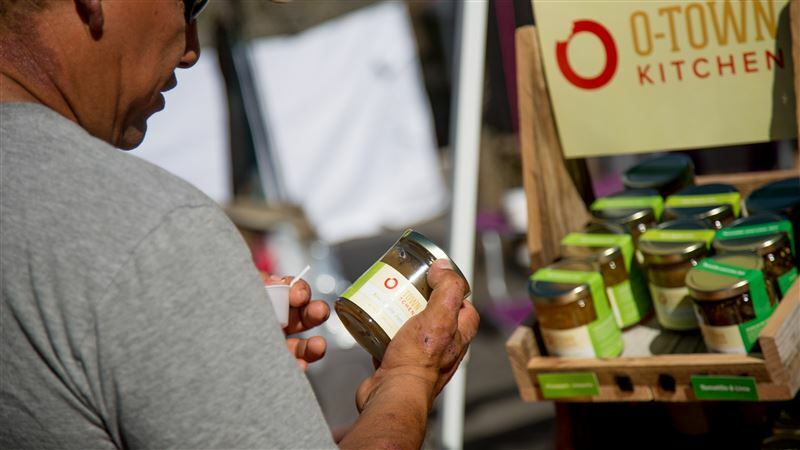 Everything about our process from the space we cook into our recipes and even our labels are inspected and approved by the Utah Department of Food and Agriculture. Whenever possible we get our produce from surplus sources. The fruits are still perfectly good and fresh but because they are in over abundance they are at risk for being wasted. We pick stuff from markets, distributors, farms, and other places in the community before they are discarded. We make most of our limited edition products using this method. By doing this we have used food waste to create jobs for single moms in tough situations. When you support O-Town Kitchen you are doing more than getting delicious handmade preserves, you are also committing to do good in the world. You, our customer, are creating jobs for single moms who find themselves in tough situations. You are recognizing that we can’t be apathetic about perfectly good food going to waste any longer. Thank you so much for making a difference. 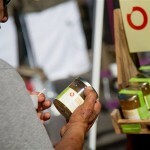 Try a jar of our tasty preserves today and join the cause. I’m addicted to the mango habanero jam. It’s so good with cream cheese and crackers! I had the most amazing vanilla ice cream with Otown Apple Cinnamon Jelly and a drizzle of Carmel. It was so yummy! Fantastic food for a wonderful cause. Mixed berry jam was the best I’ve had so far. We are a benefit corporation committed to impacting our community and supporting families. Our jams taste like they were made by mom because we give jobs to single mothers who were having trouble finding work. Some of our employees used to be homeless and are getting back on their feet, others are disabled but all of them are loving moms with a passion for cooking. We teach the time-honored process and handcrafted values of our company to every employee. This entry was posted in Food and tagged Food, jam, jellies on May 12, 2017 .